The title of my post tonight is Huntsman and Dogs. The pictures in the post are all of a sculpture in the Royal Botanic Gardens in Sydney. I will mostly let the pictures speak for themselves and keep the text to a minimum. 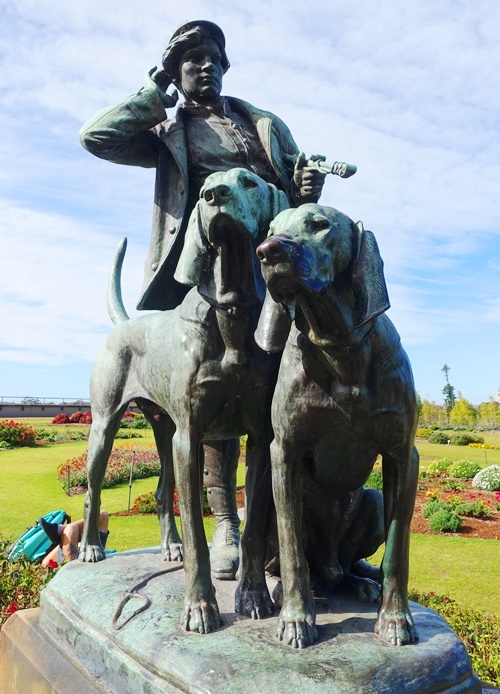 The Huntsman and Dogs sculpture is the work of Henri Alfred Marie Jacquemart who was a French sculptor. 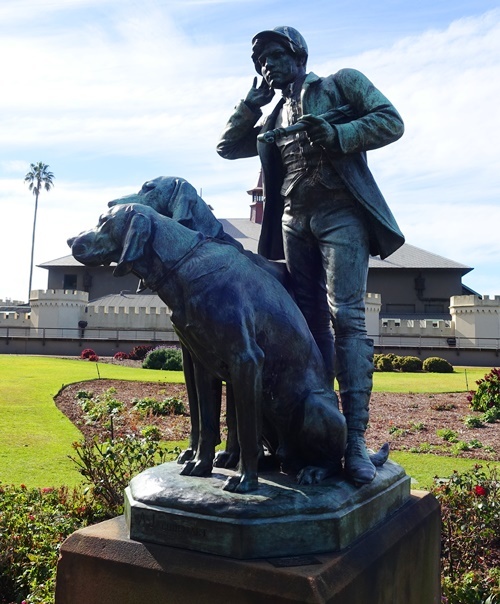 This sculpture of a huntsman and his two dogs was completed in 1866. There is a lot of detail in this sculpture, especially in the two dogs. Jacquemart is best know for his large animal sculptures so I can understand why the dogs are very detailed. The sculpture looks great from different angles, and I tried to capture as many as I could. I really enjoyed wandering through the Royal Botanic Gardens and seeing the many sculptures that were among the flowers and trees. 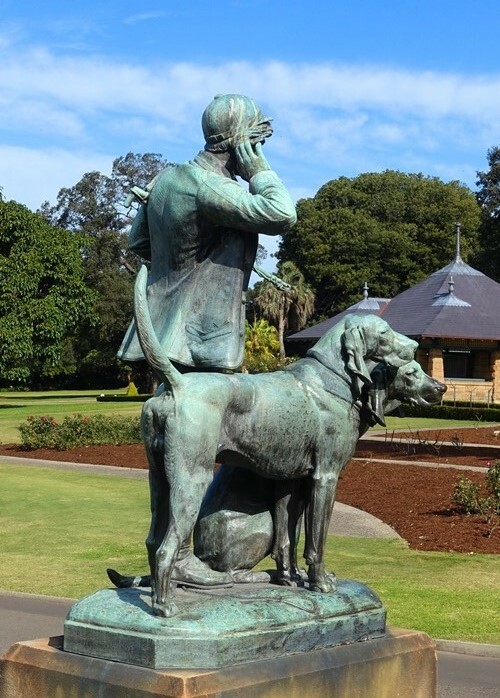 This entry was posted in Animals, Australia, Culture, Turkey and tagged French, Huntsman and Dogs, Jacquemart, Royal Botanic Gardens, Sculptor, Sydney. Bookmark the permalink.